Now in Residence at Rivendell Theatre! Interrobang Theatre Project is pleased to announce its ninth season, featuring three knockout dramas presented at its new resident home, Rivendell Theatre, 5779 N. Ridge Ave. in Chicago’s Edgewater neighborhood. 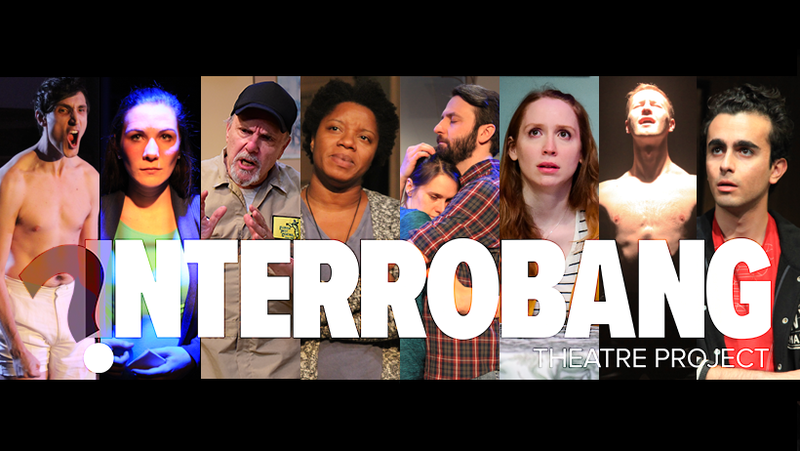 This season, Interrobang explores “identity/crisis,” with three plays featuring characters on the edge of something new, battling old demons and making room for fresh starts. Interrobang’s 2018/19 season kicks off this fall with THE GOAT, OR WHO IS SYLVIA?, Edward Albee’s provocative portrait of a marriage in flux, directed by Co-Artistic Director James Yost. In winter 2019, guest director Abhi Shrestha stages the Chicago premiere of Jonas Hassen Khemiri's I CALL MY BROTHERS, a day in the life of an Arab-Swedish man who must dodge suspicion after a car bomb rattles Stockholm. ITP’s ninth season concludes in spring 2019 with Co-Artistic Director Georgette Verdin helming the Midwest premiere of Emily Schwend's UTILITY, an intimate look at an East Texas woman's struggle to make ends meet. 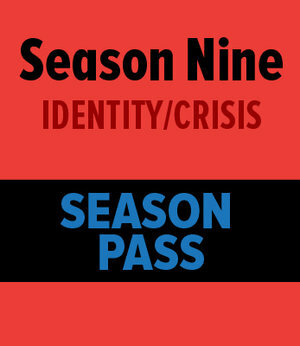 Season subscriptions are currently on sale at www.interrobangtheatreproject.org. Also this fall, join Interrobang for a one-of-a-kind theatrical experience. One actor. No rehearsal. A different show every week. The Chicago premiere of Nassim Soleimanpour's acclaimed solo show WHITE RABBIT RED RABBIT challenges the notion of performance with an experimental tour de force you have to see to believe. Join Interrobang at The Den Theatre (1331 N. Milwaukee Ave., Chicago) on Monday nights for this unforgettable artistic experiment. Interrobang is also pleased to welcome Joe Lino as its newest Artistic Associate. Lino recently appeared in ITP’s production of Grace. In Chicago, he has worked with Steppenwolf, Goodman, Victory Gardens, Teatro Vista, Drury Lane, The New Colony, The Cuckoos Theater Project and The Agency Theatre Collective, where he can be seen next in the world premiere of Tres Bandidos. Regionally, he has credits with Actors Theatre of Louisville in shows such as Dracula, A Christmas Carol and That High Lonesome Sound, which premiered at the Humana Festival. He has also performed Off-Broadway at the BAM Harvey Theatre in Charles Mee’s world premiere of The Glory of the World. He is a proud alumni of Ball State University where he received a BFA in Acting. Finally, ITP announces THE PLAYWRITING INITIATIVE, in association with DePaul University. Each season, local playwrights will be invited to participate in an immersive and supportive partnership, including one graduate selected from DePaul's prestigious BFA Playwriting program. Each collaboration will be tailored to meet the needs of the individual playwright as the Interrobang Artistic staff aids in the development of the artist’s dramatic vocabulary and theatrical voice, culminating in a public reading of each playwright’s work. Martin is an accomplished architect living the American dream. He has a loving wife, a devoted son and an acclaimed career. But an explosive revelation threatens to destroy everything he has built, and forces Martin to reconcile the man the world has come to know with the man he has always been inside. Shocking theatregoers when it first premiered, The Goat deftly lambastes liberal acceptance, fidelity and family as one man painfully traverses the ultimate taboo. I CALL MY BROTHERS – Chicago Premiere! Stockholm, Sweden. An explosion rocks the peaceful city and the authorities need someone to blame. Amor is scared and confused, but he’s got places to be. Knowing that he could be targeted at any moment, he must cautiously navigate the city he calls home if he’s going to make it through the day in one piece. Balancing paranoia, humor and 21st century woes, Khemiri's nuanced account dares us to question our own perceptions and prejudices, while offering a singular and harrowing take on the Labyrinth of global identity politics. Amber is doing everything she can to keep her head above water, but no matter how hard she tries, it never seems to be enough. Money is tight, her marriage is in turmoil and she’s juggling two jobs just to make ends meet. As she struggles to plan her eight-year-old daughter’s birthday party, Amber begins to unravel in the face of tragic uncertainty. Meticulous and heartbreaking, Utility offers a glimpse into the American working class through empathic realism. What happens when you put one artist on a stage and hand them a script they’ve never read before? Pure theatrical magic. This acclaimed solo show creates an intimate exchange between actor and audience in a one-of-a-kind dramatic experience. No rehearsal. A new performer every night. An artistic experiment like you've never seen, and won’t soon forget. Edward Albee (The Goat, Or Who is Sylvia?) was born on March 12, 1928 and began writing plays thirty years later. His plays include The Zoo Story (1958), The American Dream (1960), Who’s Afraid of Virginia Woolf? (1961-1962, Tony Award), Tiny Alice (1964), A Delicate Balance (1966, Pulitzer Prize; 1996, Tony Award), All Over (1971), Seascape (1974, Pulitzer Prize), The Lady From Dubuque (1977-1978), The Man Who Had Three Arms (1981), Finding the Sun (1982), Marriage Play (1986-1987), Three Tall Women (1991, Pulitzer Prize), Fragments (1993), The Play About the Baby (1997), The Goat, Or Who is Sylvia? (2000, 2002 Tony Award) and Occupant (2001). He was a member of the Dramatists Guild Council and president of The Edward F. Albee Foundation. Mr. Albee was awarded the Gold Medal in Drama from the American Academy and Institute of Arts and Letters in 1980, and in 1996 received the Kennedy Center Honors and the National Medal of Arts. Mr. Albee died September 16, 2016. Jonas Hassen Khemiri (I Call My Brothers) is a celebrated author and playwright based in Stockholm. His novels have been translated into over 20 languages and his plays have been performed by over a hundred international companies on stages from Stockholm to Berlin to New York to London. Khemiri was awarded a Village Voice Obie Award for his first play Invasion!, which premiered in New York in 2011. His second play God Times Five toured Sweden and his third play The Hundred We Are received the Hedda Award for best play in Norway. Khemiri’s play ≈ [Almost Equal To] premiered at Dramaten in Stockholm in October 2014 to rave reviews and has been performed in Germany, Norway, Iceland and the U.S. His play I Call My Brothers began as an essay published in Dagens Nyheter in December 2010, one week after a suicide bombing in central Stockholm that shook the nation. The book was published to great acclaim and later became a lauded play that toured Sweden with Riksteatern in 2013 (directed by Farnaz Arbabi) and premiered in New York in January 2014. It has also been performed in Norway, Denmark, Germany (multiple theatres), Australia, San Francisco, France, Spain, Belgium, Switzerland, Finland and at the Gate Theatre in London, UK. Emily Schwend (Utility) Emily Schwend's plays include Utility (The Amoralists in New York City, Orange Tree Theatre in London, 2016 Yale Drama Series Award, 2017 IT Award for Outstanding Premiere Production of a Play), The Other Thing (Second Stage Theatre Uptown), Take Me Back (Walkerspace), South of Settling (Steppenwolf's Next Up Rep) and Splinters (CUDC Source Festival). She was a 2016-2017 Radcliffe Institute Fellow at Harvard University and the inaugural 2014 Tow Foundation playwright-in-residence at Second Stage Theatre. Her work has been developed at The New Group, Roundabout Theatre Company, ACT Theatre, Marin Theatre Company, Partial Comfort Productions, Ars Nova, the Alliance Theatre, PlayPenn and the O’Neill National Playwrights Conference, among others. She is a frequent contributor to Christine Jones’s Theatre for One booth. She is the recipient of a Bogliasco Fellowship, a MacDowell Fellowship, the ACT New Play Award, the David Calicchio Emerging American Playwrights Prize, the Lecomte du Nouy Prize, and the Heideman Prize. Her work has been commissioned by the Studio Theatre in D.C., the Ensemble Studio Theatre through the Alfred P. Sloan Foundation and the Old Vic in London. She is a proud alumna of the playwriting programs at Juilliard and Tisch. Nassim Soleimanpour (White Rabbit Red Rabbit) is an independent multidisciplinary theatre maker from Tehran, Iran. His plays have been translated into more than 20 languages. Best known for his play White Rabbit Red Rabbit, written to travel the world when he couldn’t, his work has been awarded the Dublin Fringe Festival Best New Performance, Summerworks Outstanding New Performance Text Award and The Arches Brick Award (Edinburgh Fringe), as well as picking up nominations for a Total Theatre and Brighton Fringe Pick of Edinburgh Award. By the time Nassim was permitted to travel for the first time in early 2013, his play White Rabbit Red Rabbit had been performed over 200 times in 15 languages. Since then, Nassim has facilitated workshops and panels in different countries including World Theatre Festival (Brisbane), Tolhuistuin (Amsterdam), SESC Vila Mariana (Sao Paulo), Schauspielhaus (Vienna), DPAC (Kuala Lampur), Theatretreffen (Berlin), British Council (London), Asia House (London) and University of Bremen (Germany). Nassim’s second play Blind Hamlet for the London based Actors Touring Company premiered at the 2014 Edinburgh Festival Fringe and has since toured extensively around the UK and was received well in Bucharest and Copenhagen. Blank, his third play, recently premiered in Amsterdam and has been performed in Utrecht, Edinburgh and London. Nassim now lives in Berlin with his wife Shirin. James Yost (The Goat, Or Who Is Sylvia?) is a Joseph Jefferson Award-nominated director and the Co-Artistic Director of Interrobang Theatre Project. He previously served as the producing Artistic Director for BareBones Theatre Group, a company he co-founded in 1998. Selected credits include: Mr. Marmalade, Psycho Beach Party, Debbie Does Dallas: The Musical, Skylight, The Graduate, The Play About the Baby, A Midsummer Night’s Dream, Drift, bash; the latter-day plays, Squirrels, The Wizard of Oz, Lend Me A Tenor, Orson's Shadow, Glengarry Glen Ross, The Pitchfork Disney and Noises Off. For ITP, credits include Orange Flower Water (Jeff nomination for Best Supporting Actor, Joseph Wiens), Ibsen is Dead, The North Pool (Jeff nominated for Best Production and Best Director), Falling (Jeff nominated actors Justin Tsatsa and Amy Johnson) and the critically acclaimed REALLY REALLY (named one of the best shows of 2015 by the Chicago Tribune). Other credits include True West by Sam Shepard for Shattered Globe. This summer, he will direct Boeing Boeing for Davidson College. He teaches acting, directing, production design and film at the high school and collegiate level. He is published in Teaching Theatre Journal, a publication of Dramatics Magazine. Abhi Shrestha (I Call My Brothers) Abhi Shrestha is a Chicago based director, movement dramaturge and educator originally from Kathmandu, Nepal. Working at the intersections of decolonization and queer brown narratives, they are the Literary Manager and Director of Public Programming for Haven Theatre, the Resident Dramaturg and Community Organizer for the Chicago Inclusion Project and a content curator for Rescripted. They are currently working on exploring a personal history of the world as told by brown grandmas, in a performance installation called The Brown Grandma Project (working title). Georgette Verdin (Utility) has been working with ITP since 2014 and has served as Co-Artistic Director since 2015. She is also a freelance director, theater and speech educator and arts integration specialist. She was the founding theater teacher at Polaris Charter Academy, an Expeditionary Learning School in West Humboldt Park, where she taught full-time for eight years. For Interrobang, Georgette directed last season's Jeff Recommended production of Grace by Craig Wright, season seven's production of the 2013 Yale Drama Series Winner Still by Jen Silverman, as well as season six’s Katrina: Mother-In-Law of ‘Em All by Rob Florence and the Jeff Recommended Recent Tragic Events, also by Craig Wright. Other recent directing credits include Jeff Recommended 20,000 Leagues Under The Seas (Assistant Director, Lookingglass Theatre Company) Time Stands Still (AstonRep), a staged reading of Launch Day by Michael J. Higgins (Chicago Dramatists) and Tennessee Williams’ Talk To Me Like the Rain and Let Me Listen as part of AstonRep’s FOUR BY TENN festival. Georgette holds a Bachelor of Arts in theatre performance from McNeese State University in Lake Charles, LA and a Master in Directing from the Chicago College of Performing Arts at Roosevelt University.